You are here: Home / Special Reports / Are You a Candidate for a DCIM System? One of the major considerations that organizations need to examine and address before contemplating a DCIM solution is to assess their own organization’s existing departments and interdepartmental practices, procedures and pain points. This is the first entry in a Data Center Frontier series that explores the ins and outs of a data center infrastructure system, and how to tell if your company would benefit from a DCIM. This series, compiled in a complete Guide, also covers key DCIM functionality considerations, implementation and training, and moving beyond the physical aspects of a facility. One of the major considerations that organizations need to examine and address before contemplating a DCIM solution is to assess their own organization’s existing departments and interdepartmental practices, procedures and pain points. Are some of the issues due to lack of visibility across the enterprise or are they due to the processes and viewpoints of the historically differing cultures of the operational and management domains? 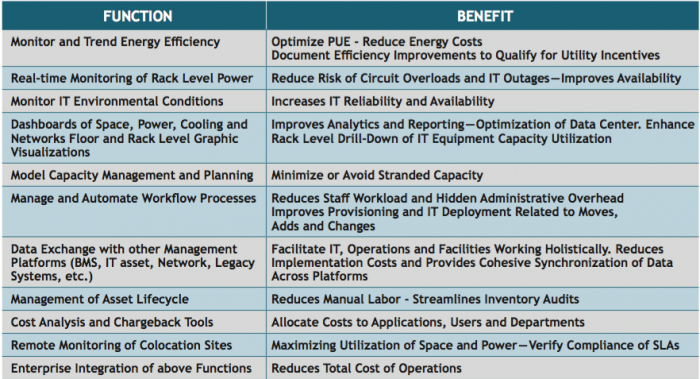 This also begs the questions: Which stakeholders will be making the evaluation and purchasing decisions, whose budget will pay for the DCIM solution, and which personnel will be responsible to administrate it? To answer these questions, it is necessary to understand that the DCIM solutions currently available cover an extensive array of products with a wide range of features and functions. 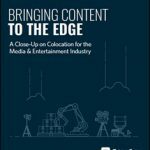 Conceptually, they are based on a centralized data repository that can deliver an integrated and interrelated view of all the assets and status of the physical facility infrastructure (space, power, cooling and network cabling), as well as IT systems (servers, storage, networking and even applications). Nonetheless, given the historically divergent cultures of IT and facilities, it should come as no surprise that politics play a significant role in DCIM purchase and management decisions. what you are currently monitoring or measuring with your existing tools, what you are doing with that data today, and what you want to do with the data in the future. Be prepared to devote enough internal resources to the process of developing a list of issues, functions and key challenges that are relevant to your staff. Even if you have already spoken to some of the vendors and have a few preliminary semi- finalists, as a minimum you will still need to have your own checklist of priorities and their importance and expected cost payback. To determine if you are a candidate for a DCIM solution, you need to at a minimum, understand what you are currently monitoring or measuring with your existing tools, what you are doing with that data today, and what you want to do with the data in the future. Review functionality overlap, compatibilities and integration with existing network management and IT asset platforms you may already have. The size and type of your organization also will impact what functions and features you may expect from a DCIM solution and what can be cost justified in relation to the budget and staff size. Understand that you will need to make some cost vs features and timing decisions, since in most cases each vendor’s offering provides a base product with basic level DCIM functions. In most cases many of the features and functions that might be most important to your organization can be offered in the form of modules, which can be added to the core platform at a later point, but also add cost. Finally make sure to look carefully at each vendor’s device license cost structure. This is especially true for IT assets. Some vendors charge per rack, per device, per IP address, or a combination of some or all these items. 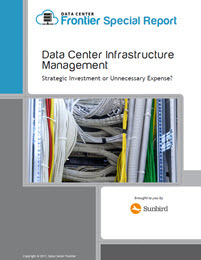 You can also download the complete report, “Data Center Management Infrastructure: Strategic Investment or Unnecessary Expense?,” courtesy of Sunbird.